Your message has been sent to Life Community Baptist Church. Like authorSTREAM? Give us a +1! We are a warm and friendly church with a heart to reach out into the local community. A group of ordinary people who enjoy the extraordinary and life-changing experience of a personal relationship with God, available through Jesus Christ His Son. 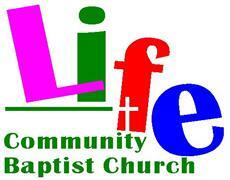 Life Community Baptist Church's Podcasts ..
lcbc uploaded a new presentation "SUNDAY 4TH SEPT 2016 MEALS WITH JESUS"
lcbc uploaded a new presentation "Heroes Of The Faith - WIlliam Wilberforce"
lcbc uploaded a new presentation "Sermon - Baptism"
lcbc uploaded a new presentation "Heroes Of The Faith - GEORGE WHITEFIELD"
lcbc uploaded a new presentation "Heroes Of The Faith - Anne Askew"
lcbc uploaded a new presentation "Powerpoint Heroes Of The Faith - Isaac Watts"
lcbc uploaded a new presentation "AMY CARMICHAEL"
lcbc uploaded a new presentation "Powerpoint: Heroes Of The Faith - Charles Spurgeon"
lcbc uploaded a new presentation "Heroes Of The Faith - Horatius Bonar"
lcbc uploaded a new presentation "Jacob and Joseph die in Egypt"
lcbc uploaded a new presentation "Jacob's family moves to Egypt"
lcbc uploaded a new presentation "Baptism"
lcbc uploaded a new presentation "GENESIS 42 -45 JOSEPH AND HIS BROTHERS MEET IN EGYPT Final"
lcbc uploaded a new presentation "Sermon -- Joseph Takes Charge of Egypt slides"
lcbc uploaded a new presentation "Powerpoint - Joseph sold into slavery and then thrown into jail"
lcbc uploaded a new presentation "Dedication - Joel Jacob"
lcbc uploaded a new presentation "PENTECOST"
lcbc uploaded a new presentation "Powerpoint - Jacob Returns Home"
lcbc uploaded a new presentation "Genesis - Jacob An Encounter with God"